A couple of weeks ago I had a week that really sucked. Ok, not the whole week, but at least a few days. I was grumpy with PMS, I screwed up some writing I did, my house was a mess, and I was having a lot of anxiety. I was exhausted and overwhelmed and my inclination was to close the blinds, shut down, and hide. That’s not what I did, but it’s what I wanted to do. I was in a “brief dip,” and I was uncomfortable. 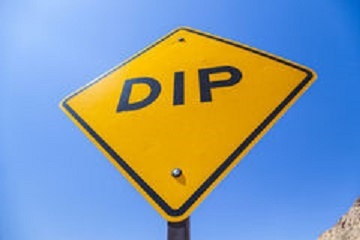 My stepson’s counselor introduced me to the term “brief dip” a while back. It refers to when you’re facing some sort of challenge to the status quo and you have to deal with the discomfort of negative emotions. It’s learning to sit with those feelings, and feel them, without trying to stuff or ignore them. The counselor was talking about them in reference to my stepson, telling us how important it is to allow him to go through these brief dips without us intervening to fix things or telling him to get over it. The concept of sitting with negative feelings and dealing with them rather than stuffing, isn’t new to me. I learned a lot about it in treatment, and I have gotten better about putting it into practice. 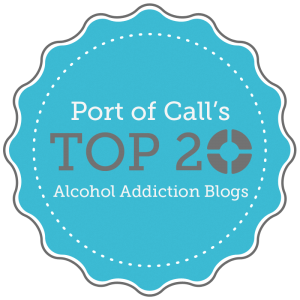 But, as I sat and listened to the counselor talk about it, I realized that the reason I had so much trouble with it (enough that it contributed to my active alcoholism) was that it was something I never learned when I was my stepson’s age. When I was a kid, brief dips weren’t really allowed in my house. Either my parents fixed things for us kids, distracted us so we were able to ignore negative feelings, or told us to get over it. Any of you who read my blog regularly know that I don’t have a relationship with my family at all now, and that my relationship with my mom growing up was always contentious. However, I think that she did the best she could with the knowledge she had at the time; she just didn’t want any of us kids to be uncomfortable–ever. I get that now. That doesn’t mean that I don’t wish I had been taught to deal with my negative feelings earlier, but I don’t blame my mom for wanting her kids to feel happy all the time, I think that probably all parents want that. That fact is though, that we can’t be happy all the time, and I certainly wasn’t a couple of weeks ago. It was a crappy week, and I wanted to check out. The only upside was that now I have a name for times like that–brief dips. I like that because it reminds me that it isn’t permanent, or even long-lasting. It’s brief. And it’s just a dip, it’s not bottomless. I just had to deal with the feelings, continue to put one foot in front of the other, and keep going, and I would emerge on the other side. And that’s exactly what happened. Did I suffer a little while I was down? Yes (and I’m sure my husband and stepson did too). Do I wish that it hadn’t happened at all? Yes. But I’ve noticed that my brief dips are not as bad as they used to be, and I never stay down and depressed like I used to. That tells me that I am making progress, and that’s what counts. ← Recovering, or Recovered? Which am I? Love it! I’m going to use that with my boys. Brief dips? Yep, I like that phrase, it means it’ll pass quickly. I have to admit I’m not used to sitting with these sorts of feelings, I will distract, avoid and numb like crazy. I’ll remember brevity the next time they come along and ride them out. Thanks!